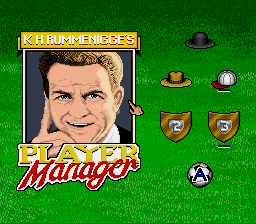 There are two prototypes of Player Manager. I compare both here. 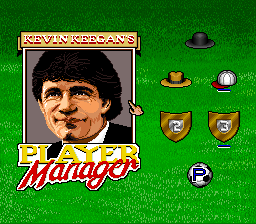 There are two versions of Player Manager, one for English audiences, the other for German. It appears that the known prototypes are incomplete localizations of the German version, though they have more in common with the final German version. The two prototypes can be distinguished by the title screen. One says "demo 10 week", while the other says "demo 20 week". Looking at the (uncompressed) text in the binary, the "demo 10 week" version is an earlier version. I'm guessing that the "10 week" and "20 week" indicate the number of weeks you can simulate in the game. 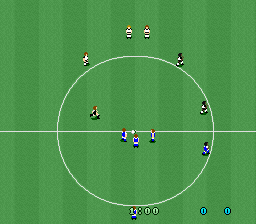 Overall, the prototypes are pretty much the same as the final version of the game. The "demo 10 week" version was undumped before I acquired this prototype. There are at least a couple of copies. The "demo 20 week" version appears to have been leaked during the BBS era. It was uploaded to a BBS on September 22, 1993. This is only three days before the season start date within the game. 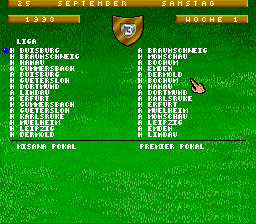 This is the Beta-Release of the German Player Manager. I don't know if it is working well, cuz I don't dig Soccer Games. But it's Brand.nu and someone may like it. If you need the Manual, contact the Mainman at Zocker Box. Perhaps the most interesting aspect of these prototypes is that they are on standard release PCBs rather than prototyping PCBs. My copy had some rewiring on it for things to work with the EPROMs. Another prototype I have in my archives is this one sent to me from Nils Muellner back in 2012. He bought this off Ebay in 2011. Apparently the seller bought them at a flea market. He stated the prototype had already been dumped, so I assume this is the Demo 20 Week version. Another prototype, presumably Demo 20 Week, but this is not confirmed. 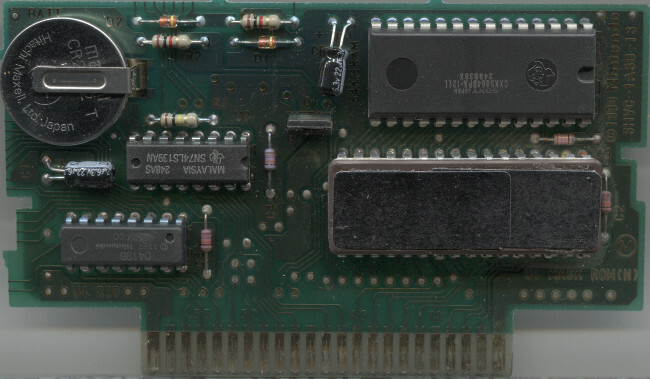 EEPROM was originally uncovered. Now onto the demos. This game has a pretty confusing interface with no in-game explanation, so I can only comment on that, rather than the actual gameplay. Aside from the text differences describing the version number (replaced by "Licensed by Nintendo" in final), K.H. Rummenigge's image uses a different palette. Also noticeable is that the Demo 10 Week version has an umlauted "u" in his name, which was likely removed because his name does not actually have that. The default letter on the soccer ball is different in all versions. 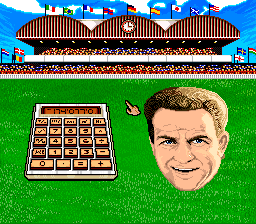 If you want to know why this game is pretty confusing, this is actually a menu screen. 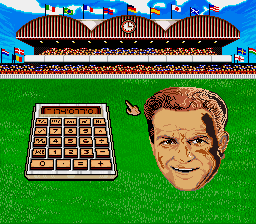 You have to click on the head to open management options, and the grandstand to start a game. 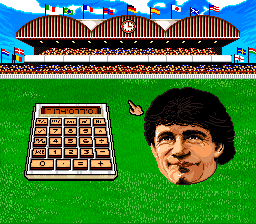 Just to show that the German and English versions were developed at the same time, Demo 10 Week has Kevin Keegan's head instead of Rummenigge's. It appears to be unchanged from the final version. 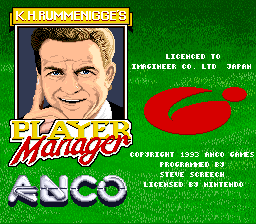 In Demo 20 Week, Rummenigge's head has different colours than the final version. Once again, showing that Demo 10 Week has characteristics of both the German and English versions of the game. 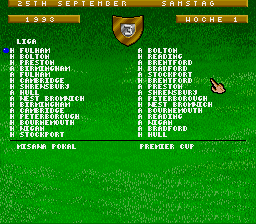 It has the German word for "week" (woche), while having the same teams as the English version. 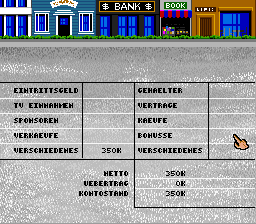 In this menu, the Demo 20 Week version appears to be the same as the final version. 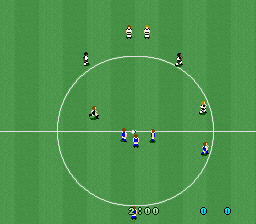 I won't go into all of the screens with player names, but obviously they are different in both demos, and they are different from the final game. 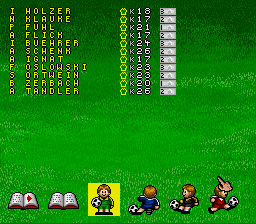 There are spelling differences in the Demo 10 Week version, that are not present in the 20 Week version or final game (gehalter vs gehaelter and kaufe vs kaeufe). 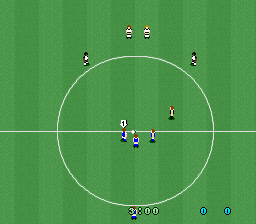 Nothing too obviously different once the games actually play. The main difference is that the halves are one minute in Demo 10 Week, two minutes in Demo 20 Week, and three minutes in the final.